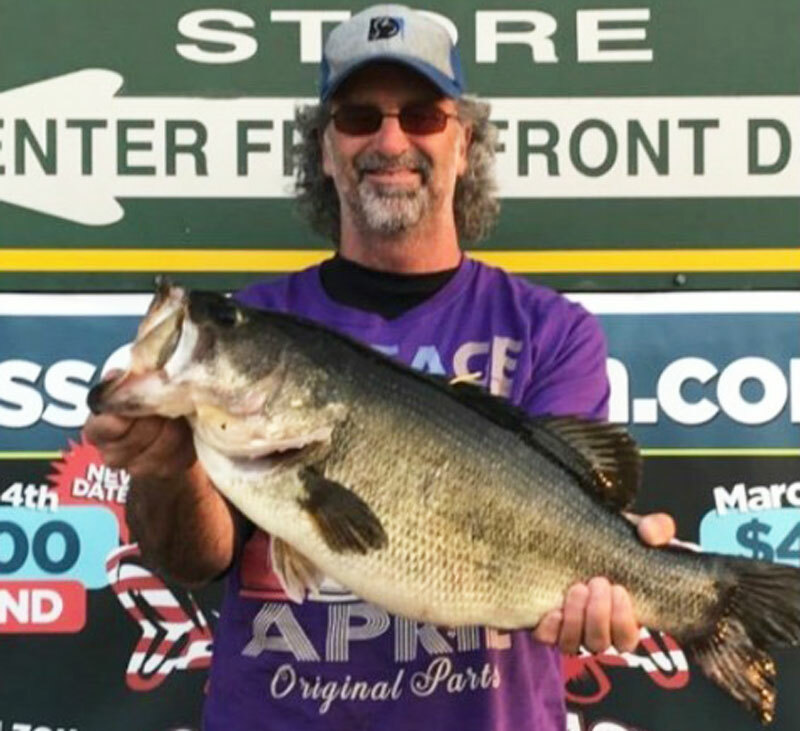 Darren Burns, of Moss Bluff, shows off the 10.27-pound lunker bass he landed on March 20 near Mill’s Creek — the first of four lunkers landed on what proved to be an epic day at Toledo Bend. Last Wednesday, March 20, happened to be the first day of spring, as well as the start of this month’s full moon. 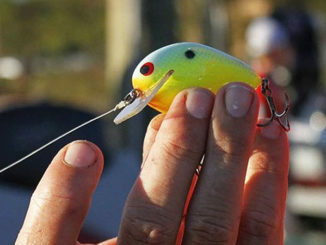 Turns out, it was also an absolutely epic day for landing lunkers at Toledo Bend: A grand total of four 10-pound-plus bass were taken to certified scales that day — and three of them were landed after 5 p.m.
Darren Burns of Moss Bluff got the party started about 10 o’clock that morning near Mill’s Creek on the Texas side of the reservoir when he landed his personal best, a big bass that officially weighed 10.27 pounds. Burns’ 25-inch-long fish, with a girth of 19 inches, was the first lunker to hit the scales at Fin & Feather Resort that day, but it wouldn’t be the last. 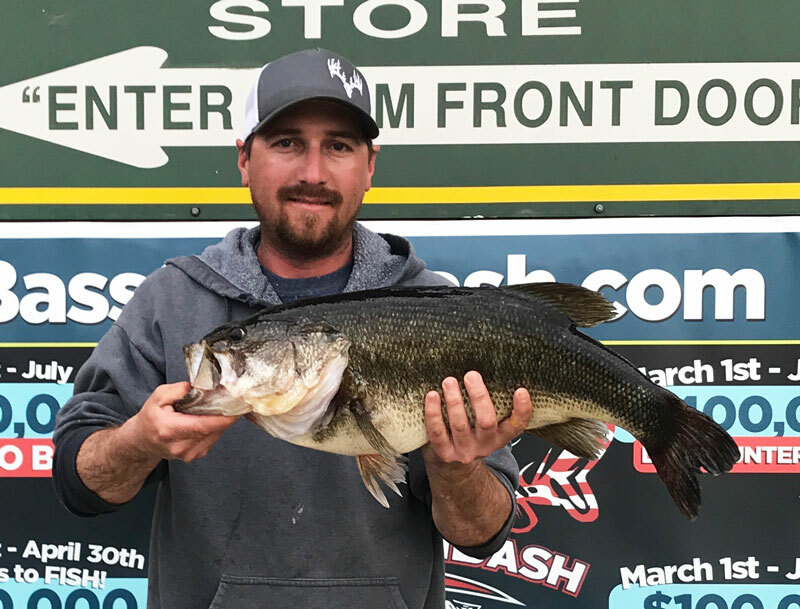 Since he was fishing alone, Darren Burns took a selfie with the 10.27-pound lunker bass he landed on March 20 near Mill’s Creek. Aaron Gay, of Princeton, kept things rolling when he landed a 10.26-pound fish about 5 p.m. later that afternoon in Housen Bay. Gay’s fish also bit a Zoom Trick Worm, this time a Carolina-rigged green pumpkin offering with red flakes. At Fin & Feather, Gay’s fish also measured 25 inches, with an 18 ¾-inch girth. 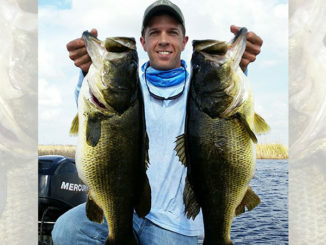 Aaron Gay, of Princeton, poses with the 10.26-pound bass he caught in Housen Bay on March 20. 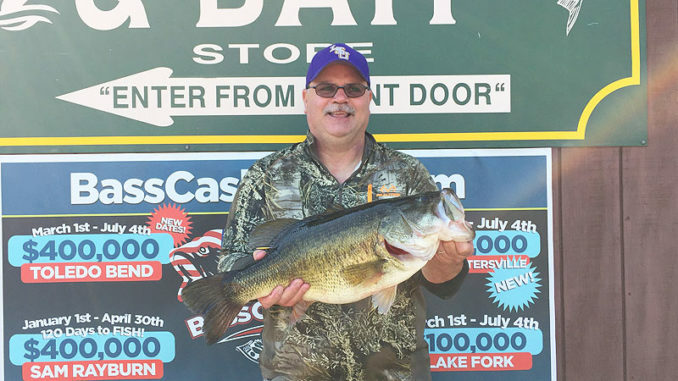 Richard Gautreaux, 73, of Gonzales, was next in the lunker parade when he caught his biggest bass ever — a 10.07-pounder in “the Vip” across from Holly Park Marina on the Texas side about 5:30 p.m.
Gautreaux fooled the big bass with a wacky-rigged pumpkin/purple flake Yum 6-inch worm in about 2 ½ feet of water. 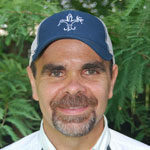 At Holly Park Marina, Gautreaux’s fish measured 24 ¼ inches, with an 18 ¼-inch girth. 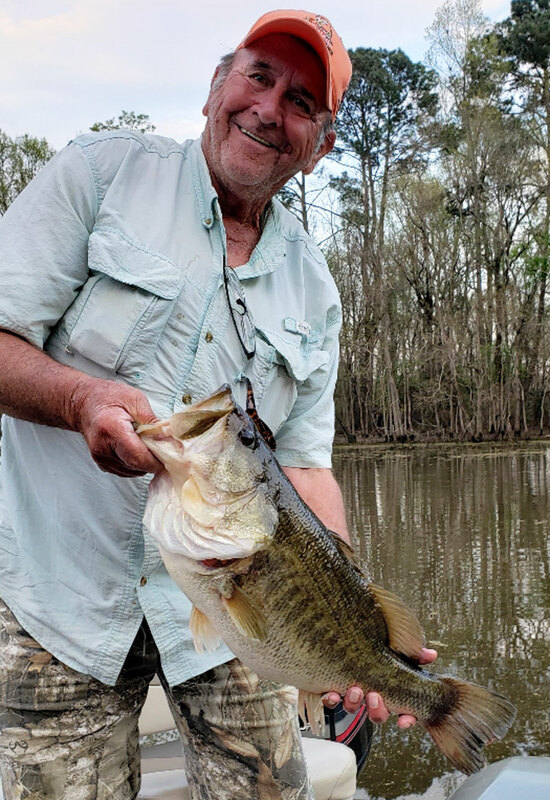 After more than 60 years of fishing, Gautreaux definitely paid his dues and earned his lunker — even though the whole catch probably took 45 seconds or less. 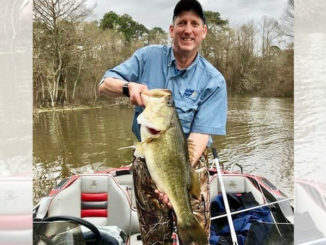 Richard Gautreaux, of Gonzales, shows off his biggest bass ever — a 10.07-pounder he caught on March 20 near Holly Park Marina. Rob Prejean, of Sulphur, wrapped up the wild day when he landed a certified 10.02-pounder near Sandy Creek about 5:40 p.m. That fish bit a Texas-rigged (no weight) watermelon candy Yum Dinger in about 6 feet of water. Rob Prejean, of Sulphur, poses with the 10.02-pounder he caught near Sandy Creek about 5:40 p.m. on March 20. 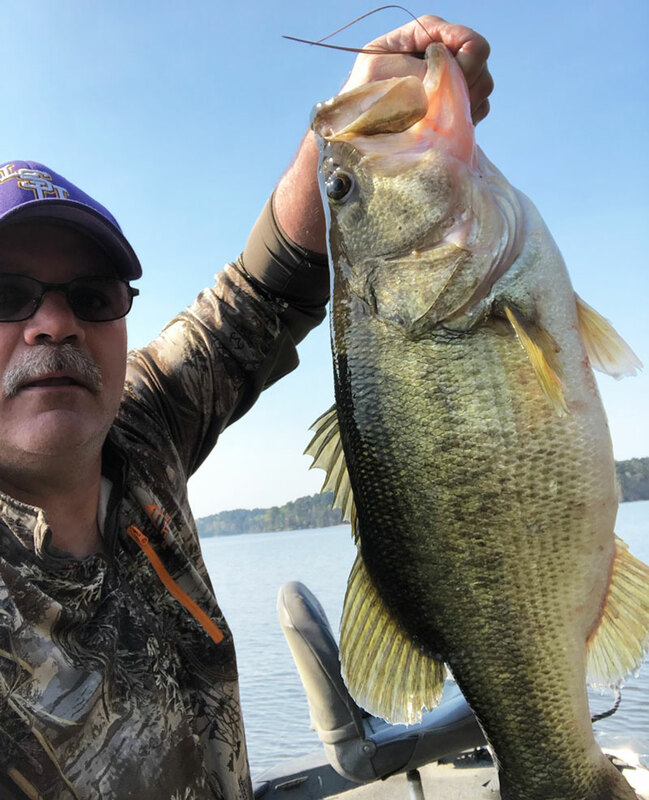 All four men will receive complimentary replica mounts from the Toledo Bend Lunker Bass Program for catching 10-pounders and then tagging and releasing them back into the reservoir.